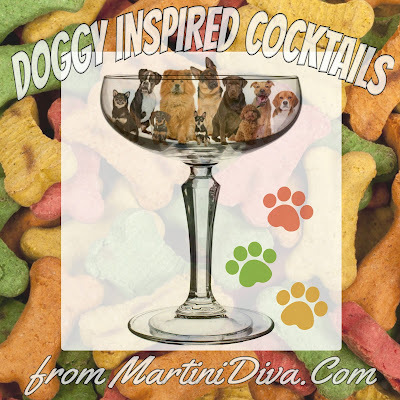 I made myself an Elderflower riff on a Salty Dog Cocktail and it got me wondering if there were any other dog inspired cocktails. 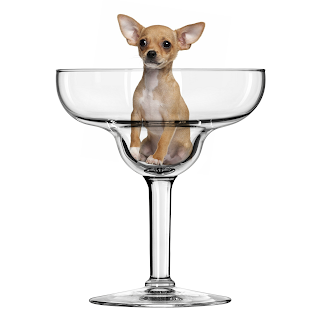 Believe it or not, there are quite a few drinks inspired by man's best friend. 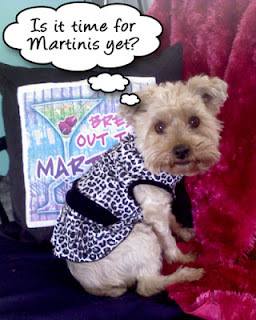 I love canines of all kind so today we're going to the dogs for happy hour. 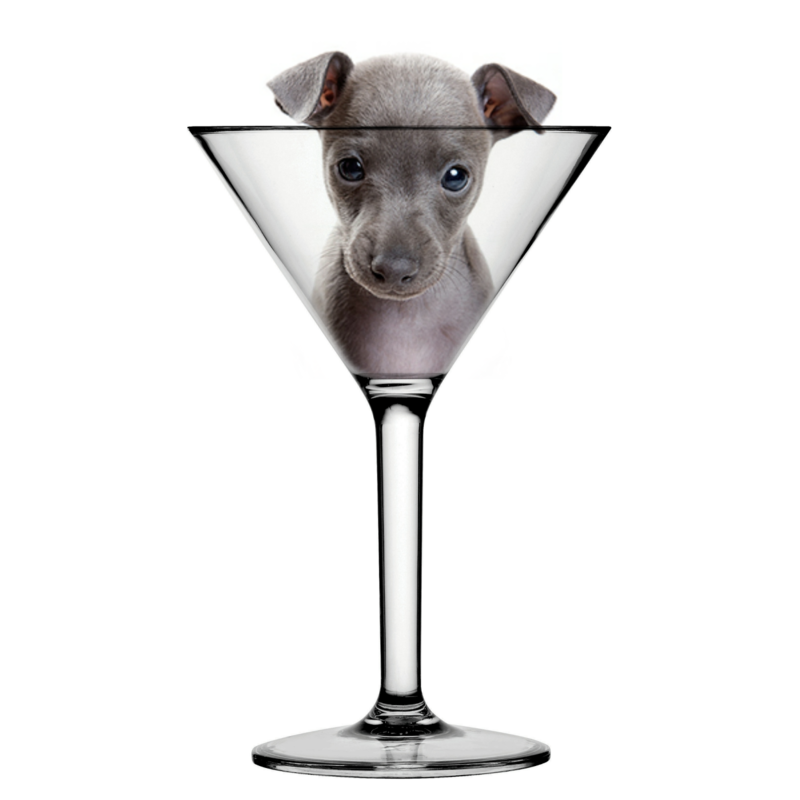 GREYHOUND 1 Part Gin or Vodka 4 Parts Fresh Grapefruit Juice Shake with ice and strain into a chilled highball or Collins glass. SALTY DOG Exactly the same as a Greyhound but with a salted rim. ITALIAN GREYHOUND A Greyhound where the gin/vodka is replaced with Punt E Mes. 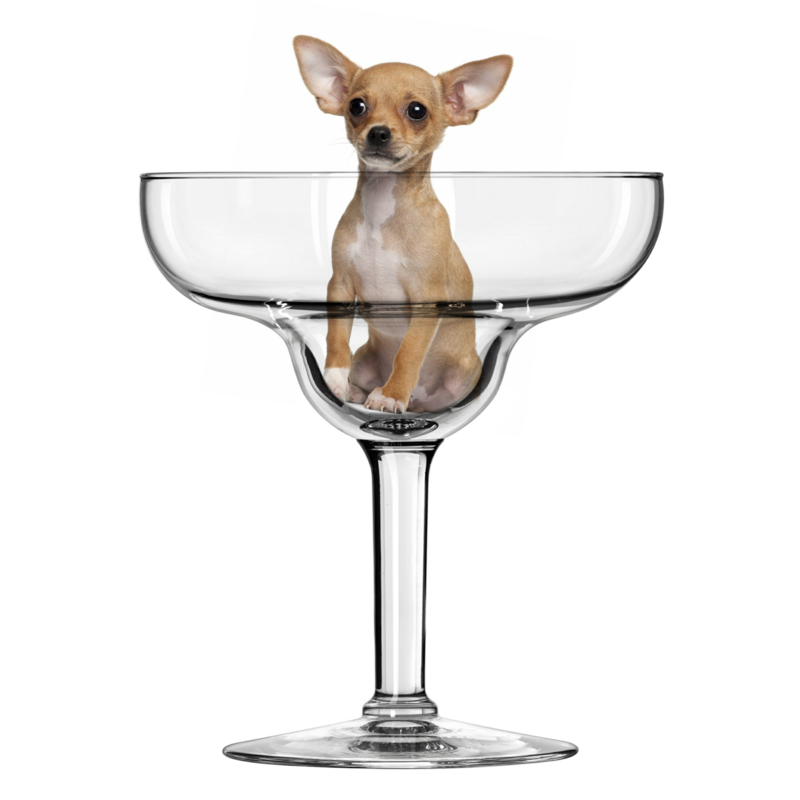 SALTY CHIHUAHUA Just replace the Greyhound's gin/vodka with tequila. BLOODHOUND 1-1/2 Oz. Gin 1/2 Oz. 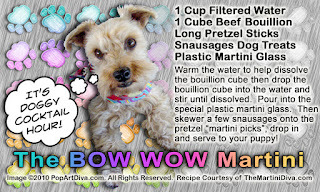 Dry Vermouth 1/2 Oz. Sweet vermouth 1/2 Oz. Strawberry Liqueur Shake with ice, strain into a martini glass, garnish with a fresh strawberry. GREAT DANE 1 Oz. Aquavit 1/2 Oz. Cherry brandy 1/2 Oz. Cranberry Juice Dash of Orange Bitters Shake with ice, strain into a martini glass, garnish with an orange twist. 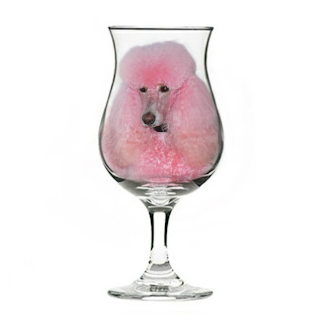 PINK POODLE 1 Oz. Vodka 2 Oz. Fresh Pink Grapefruit Juice 1/4 Oz. Fresh Lemon Juice 1 Oz. 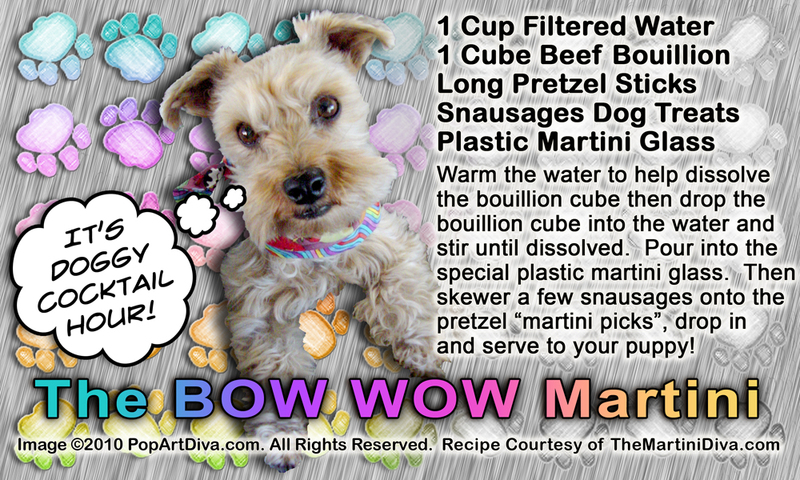 Grenadine Shake with ice, strain into a martini glass, garnish with a lemon twist. REGAL BEAGLE 1-1/2 Oz. Vodka 5 Oz. Fresh Grapefruit Juice 2 Lime Wedges 1 Tsp. Honey Splash of Dry White Wine Muddle the honey and limes in the bottom of a rocks glass. Add ice, pour in grapefruit juice and vodka and the wine, stir. Garnish with a grapefruit wedge. 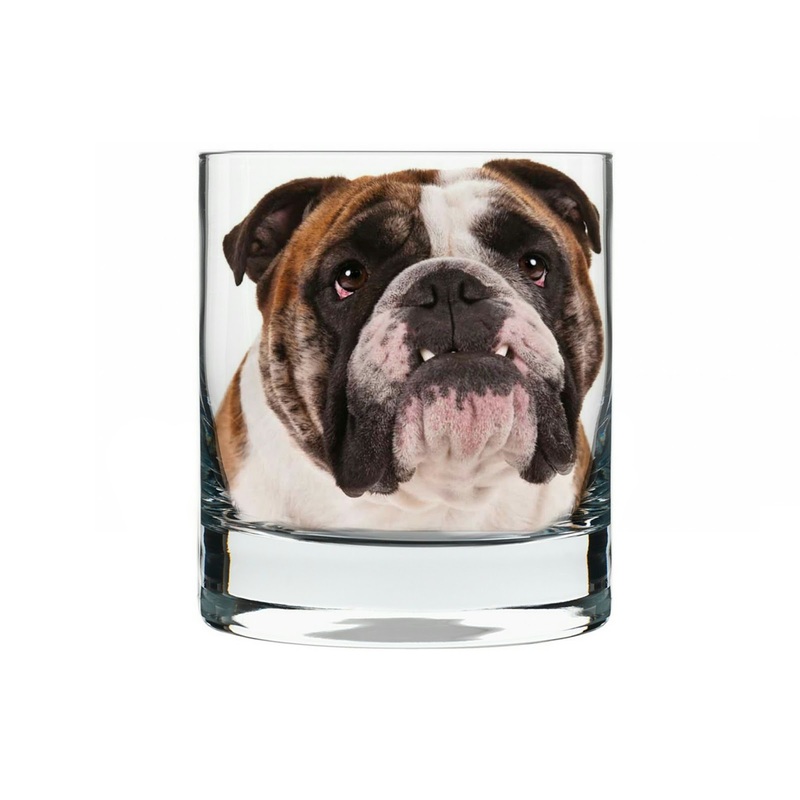 ASTA COLLINS 2 Oz. Vodka 1/2 Oz. Fresh Lime Juice 1 Oz. Fresh Grapefruit Juice 1/2 Oz. Campari 1/2 Oz. Simple Syrup Club Soda Shake with ice, strain into a rocks glass, top off with the soda and garnish with a lime wheel. BULLDOG SMASH 2 Oz. Bourbon 1/4 Oz. Cointreau 1/2 Oz. Fresh Lemon Juice Half a Fresh Peach, Cubed 1 Tsp. Simple Syrup 6 Mint Leaves Muddle the lemon, peach, mint, and simple syrup in the bottom of a cocktail shaker. Add ice, pour in the bourbon and Cointreau, shake until chilled then strain into an rocks glass. Garnish with a mint sprig. POMERANIAN 1-1/2 Oz. Pomegranate Vodka 2 Oz. Grapefruit Juice 1 Tbsp Honey Shake with ice, strain into a rocks glass and garnish with a mint sprig. PIT BULL 1-1/2 Oz. Vodka 1/2 Oz. Fresh Lime Juice 1/2 Oz. Grapefruit Juice Splash of Lemon-lime Soda Shake with ice, strain into a Collins glass then garnish with a grapefruit wedge. COLORADO PIT BULL 3 Oz. Spiced Rum 3 Oz. Coffee Liqueur 1/2 Oz. Cream 1/2 Oz. Cola Shake with ice, strain into a rocks glass and garnish with toasted filberts. This post is dedicated to Pixel, my cocktail wingman for 17 years. National Dog Day is August 26th. National Puppy Day is March 23rd. National Mutt Day is July31st.